The Doctor in the Kitchen: Friday Pizza Party: Long Live the Vegetarian Pizza! Friday Pizza Party: Long Live the Vegetarian Pizza! 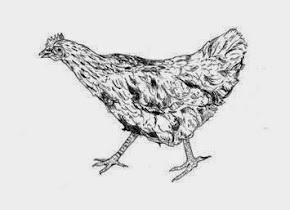 Admittedly, I'm a card-carrying omnivore and a meat-eater par excellence and I always have been - readers of my blog are acutely aware of this fact, given the sheer volume of meat-orientated recipes. In both my cookbooks (published in Icelandic), there were no specific vegetarian chapters, I did though include chapters that focused on side dishes featuring only vegetables. However, I feel it's time to devote more attention to vegetables, and wholly vegetarian dishes. And since I've never been much of a fan of vegetarian food I see this as an opportunity to learn something new - new approaches and techniques, for example. We'll see how well I stick to the cause. I rolled the dough very thin in order to recreate that authentic Italian pizza-feeling and I baked them on a specific pizza-stone in the oven. One pizza was covered in multicolored thinly sliced peppers, jalapeno peppers, corn, cream cheese, grated mild cheese and red chili. On another pizza we put zucchini, red onion, cream cheese, grated mild cheese and black olives. My son, Villi Bjarki, helped with the pizza-making like many times before and is quickly becoming a master of flattening and preparing the dough! 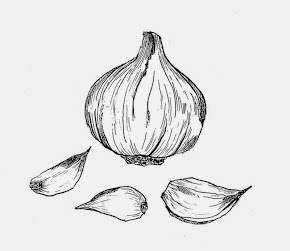 A third pizza received a treatment of garlic oil, boiled potatoes and blue cheese - something along the lines of the English Stilton cheese. Wonderful - this one was my favorite! Finally, the cheese pizza galore - which was the most popular! The pizza had five kinds of cheese: Grated mild cheese, mozzarella, Boursin garlic cheese, thinly sliced blue cheese and Manchego cheese (made from sheep milk and hails from Spain). Pure deliciousness - don't be afraid to scatter a bit of jam over the pizza! We enjoyed a bit of bag-in-box red wine with the pizzas. 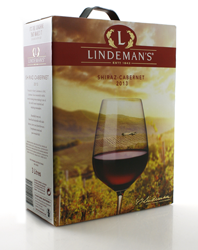 Lindeman's Shiraz Cabernet is an Australian wine, a blend of Shiraz and Cabernet grapes. It's medium bodied with notes of berries, mild tannin and an extended aftertaste which paired perfectly with the cheese pizzas! That is looking really delicious can you share the recipe for me as well. I am organizing a small party at event space nyc and for that party I was thinking to include it as well. Do you think it is a great idea? Sleek brings the latest in kitchen storage solutions and fabulous kitchen decorating ideas to make the design of a kitchen functionally brilliant and aesthetically appealing. This is very delicious pizza. Thanks for sharing this awesome cooking recipe. when you cut to pizza you need cutlery knife.